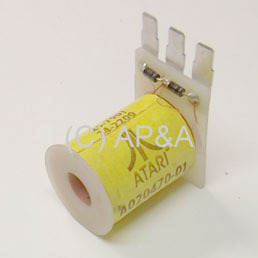 Flipper coil used in some Atari pinball games. Includes coil sleeve and 2 diodes across solder lugs. Reference # 25-790/34-2200. Image is sample only- wrapper color/style may vary.